Wellington’s Commonwealth Walkway has opened today encouraging walkers to visit 32 of the City’s most important and historic sites. 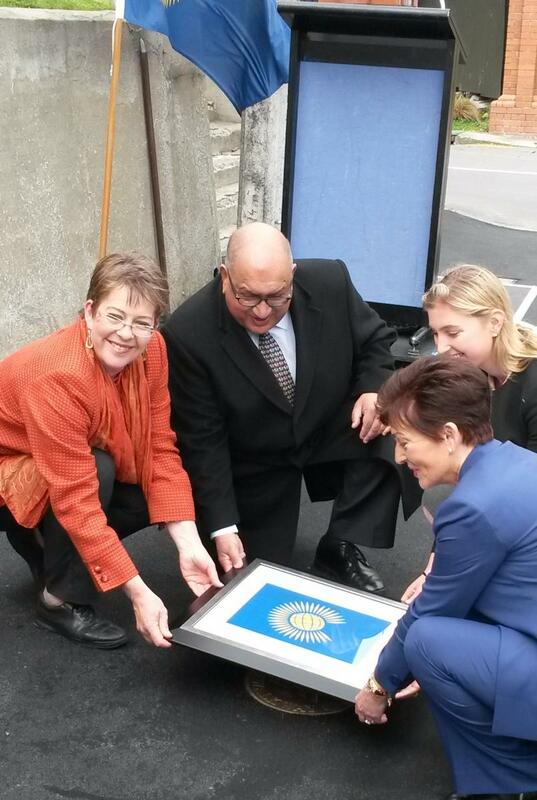 The final commemorative walkway marker, or roundel, was placed today by Mayor Celia Wade-Brown, Governor-General Dame Patsy Reddy, Sir Anand Satyanand, Chair of the Commonwealth Foundation and Isobel Pepper, a member of the Commonwealth Youth New Zealand executive. Unveiling of the final roundel outside Government House. Mayor Celia Wade-Brown said she was delighted to see the walkway completed in her final week as Mayor. “The first roundels were laid in 2015 as part of our Wellington’s 150th anniversary celebrations and this walkway is a wonderful way to celebrate the long shared history between the Crown and the City. “As such a walkable city, this gives Wellingtonians and visitors another reason to explore the Capital and enjoy its rich history and beauty and to get active and get walking,” she said. The Commonwealth Walkway connects 32 significant monuments, parks, buildings and historic places along a 9km loop in the Capital. The final route included community suggestions on points of interest to add to the walkway. Viewing the roundel at Pukeahu National War Memorial Park. Sir Anand Satyanand, Mayor Wade-Brown and Director of the Outdoor Trust (UK), Jim Walker formally unveiled the first marker at the Wai-Titi Landing at the front of Parliament grounds in July 2015. His Royal Highness Prince Charles and the Duchess of Cornwall laid the second roundel in November 2015 at Pukeahu National War Memorial. 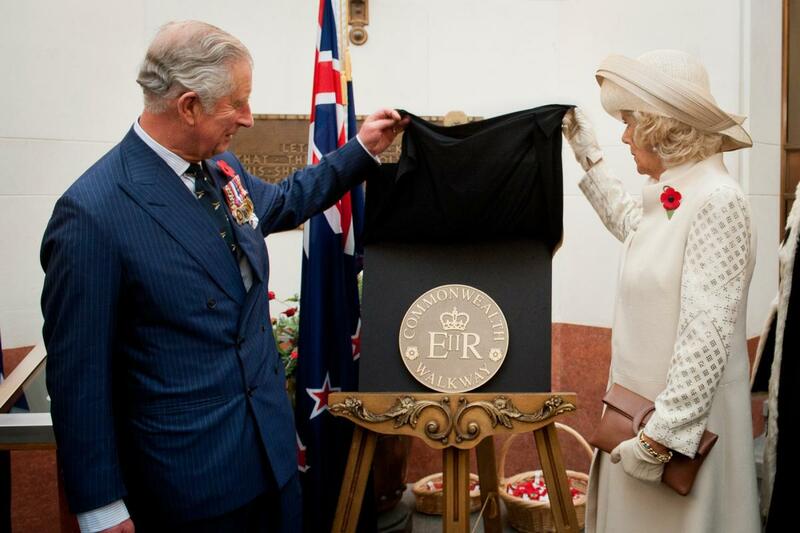 Image of the Royal Couple unveiling the roundel is courtesy of the New Zealand Defence Force. The Commonwealth Walkway concept has been developed by the London-based Outdoor Trust which has permission from Her Majesty Queen Elizabeth II to use her personal EIIR cypher to mark the walkway adjacent to agreed points of interest. Hugo Vickers, Chairman of the Outdoor Trust, said: "The next excitement will be when the App goes on line in the near future giving information about the 32 points of interest on the walk. It is wonderful that Wellington has embraced this project with such enthusiasm."